Last week NASA and NOAA announced that 2014 topped the list of hottest years ever recorded. Yikes! What’s worse, the ten warmest years ever recorded have all occurred since 1998. Yikes again! I fear this news story might turn into a blip that gets tons of attention and is then forgotten after a few days. But it's a topic that deserves sustained attention. So let’s look back at those years and remember what was going on then. What were we focused on during those record-breaking years? What were we doing? I encourage you to think about what was happening in your life. During the hottest year ever recorded, people took to the streets to demand action on climate change. Sure, there were many other stories that grabbed headlines in 2014 (like the Ebola outbreak), but I’ve decided to highlight this one because it stood out to me as a turning point in the global discussion. The People’s Climate March, based in New York City on Sept 21, 2014, was the largest climate change march in history and spread to over 150 countries. The Gulf of Mexico oil spill began on April 20, 2010. It lasted 87 days and spewed about 260 million gallons of crude oil into the ocean, making it the worst marine oil spill in history. Eleven people and countless marine animals were killed. Hurricane Katrina formed in the Bahamas on August 23, 2005 and made landfall on August 29, causing flooding and severe destruction along the Gulf Coast. New Orleans, Louisiana, was especially hit hard when levee failure caused over 80 percent of the city to become inundated. 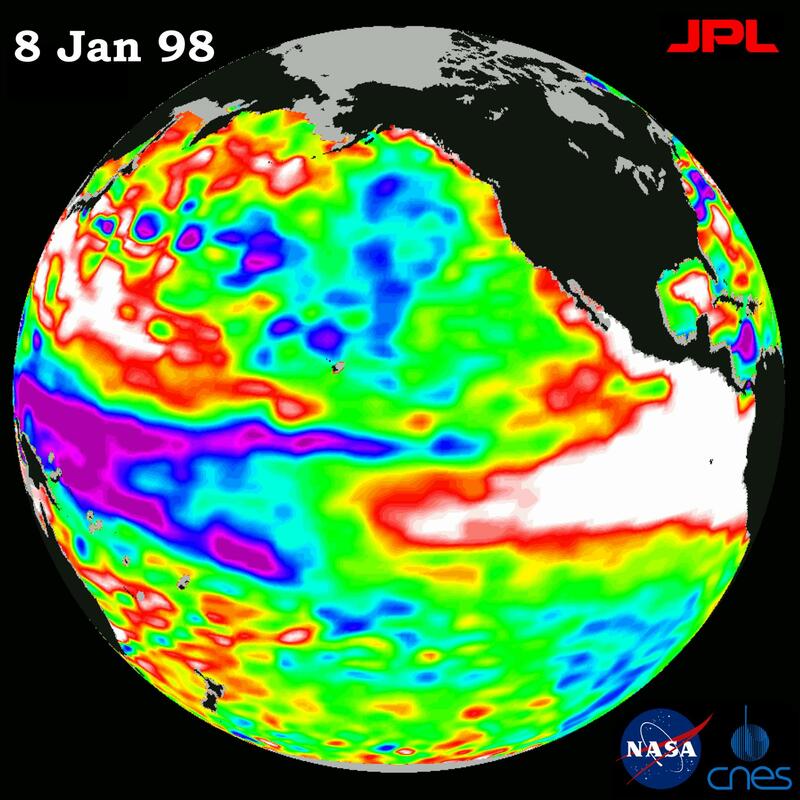 A massive El Niño occurred in the winter of 1997-1998, causing extremely wet and warm conditions across the southern third of the U.S. and extremely dry conditions in Indonesia and Australia. Severe weather events occurred across the globe, including intense rain and flooding in California and tornadoes in Florida. Super Typhoon Haiyan, in November 2013, was the strongest typhoon ever recorded. It caused catastrophic destruction and devastation across Southeast Asia, especially in the Philippines. The U.S. invasion into Iraq began on March 16, 2003 and dominated the news that year. Between January 31 and April 13, 2002, nearly all of the Larsen B Ice Shelf in the Antarctic Peninsula disintegrated and collapsed. The ice shelf had been stable since the Holocene, but warmer ocean currents around Antarctica caused the 1,250-square-mile shelf to melt and break into the sea. The social networking website Twitter was launched in July 2006. It presently has about half a billion users, including NASA satellites and rovers. The 2009 United Nations Climate Change Conference was held in Copenhagen December 7-18, 2009. The goal of the conference was to negotiate a deal to reduce carbon dioxide emissions and hold the temperature increase to less than 2 degrees Celsius, but participating nations failed to reach an agreement. NASA's 'Earth Now' app. Download for free here or here. The first generation iPhone was released in the U.S. on June 29, 2007. The point of this exercise is to say that we have to look at global warming as more than a bunch of numbers and dates on a page. The 10 warmest years have happened so recently that we can easily remember what was going on then. Even the 19- and 20-year-old college students I teach are old enough to remember what was happening and where they were in every one of those years. Wow, is your mind as boggled as mine is? Share your thought in the comments. I look forward to reading them.